At the age of thirteen, Charlie Quinn’s childhood came to an abrupt and devastating end. Two men, with a grudge against her lawyer father, broke into her home – and after that shocking night, Charlie's world was never the same. 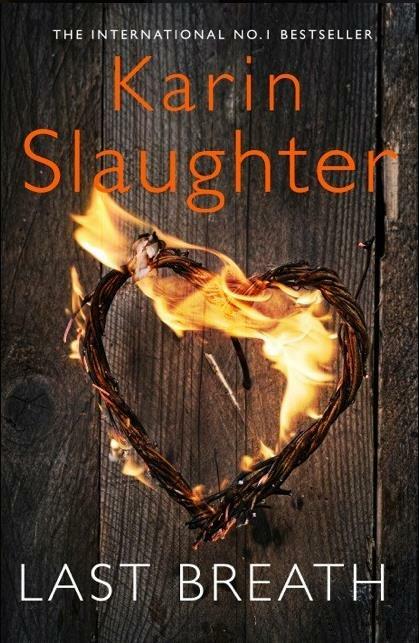 Review: The Good Daughter is one of my favorite reads this year so I was excited to see Slaughter published a short prequel. In Last Breath, Charlie is a 28 year old attorney who takes on an emancipation case for 15-year old Flora. Charlie feels a kinship to Flora, who also lost her mother at a young age. But Charlie quickly realizes that there may be more to Flora than she originally thought. I'm not usually a fan of shorter stories but this was well executed. I enjoyed the mystery and didn't see the end coming. Very good read!